Perched on a hillock in the centre of the town, this is a Shiva temple. A worthy landmark of the city and an icon of the town, it was constructed in 1893 by a king and named after his name Takhtasinhji. Reaching the top of the hill climbing a few dozen easy stairs and sitting on the marble floor of the courtyard atop, one gets a panoramic view of the town and the surrounding landscape. An early morning or evening visit is an enriching experience. 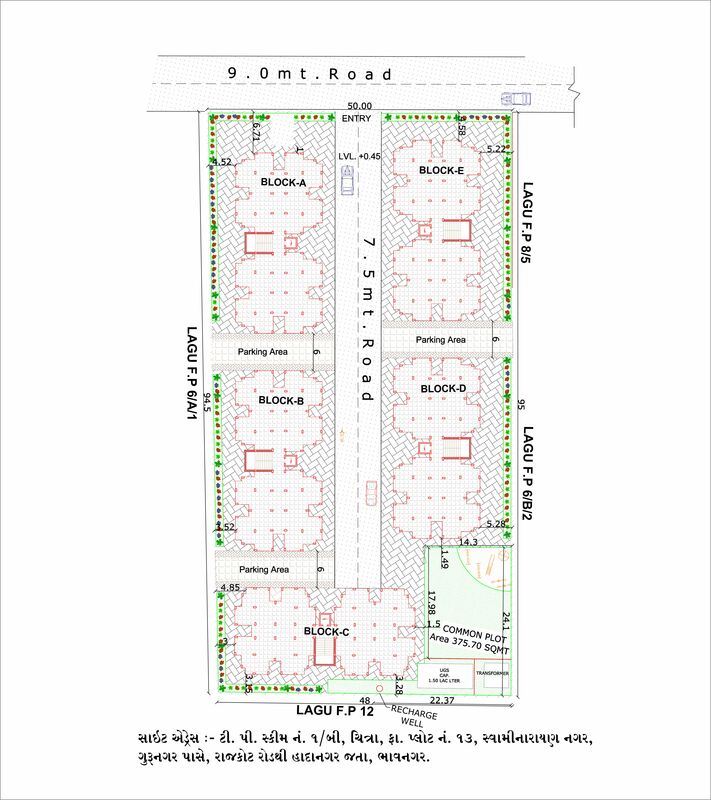 Gandhi Smruti is a memorial to the Father of the Nation. 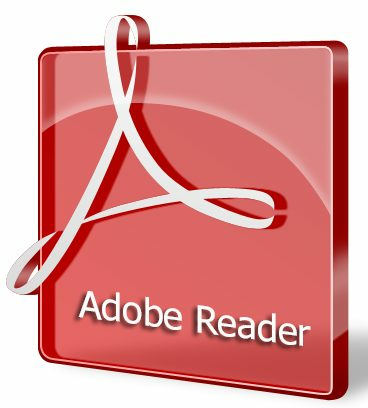 It conducts various activities. The ground floor houses the Government-run Barton museum consisting chiefly of archaeological remains from the surrounding region. Gandhi museum on the first floor offers a moving photographic journey through the life of Gandhiji. Gaurishankar Lake, (popularly known as Bortalav) named after a very able 19th century minister of the king, is a reservoir originally planned for water supply to the town. it is also a place deserving an evening visit when one can water a setting sun and enjoy a stroll on the parapet wall of the lake. A popular picnic spot. Aksharwadi Swaminarayana Temple is also known as Akshar Temple. 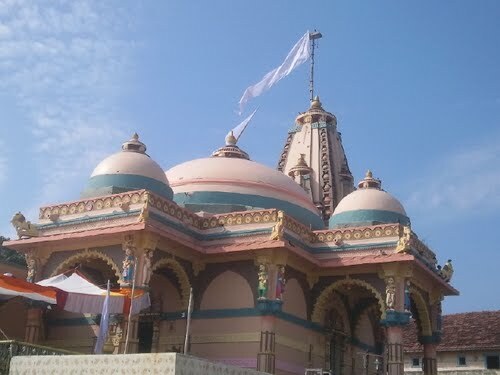 It is one of the most famous temple in Bhavnagar. The Barton Library is a beautiful two storeyed building, appropriately designed for a road junction. It has two wings and a central tower, constructed in ashlar stone masonry, with Gothic arch windows and a sloping roof with Mangalore tiles. 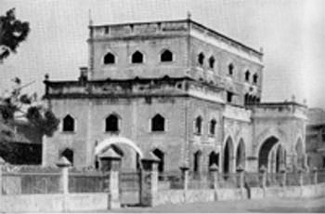 It is one of the oldest libraries of Gujarat and also houses a museum. 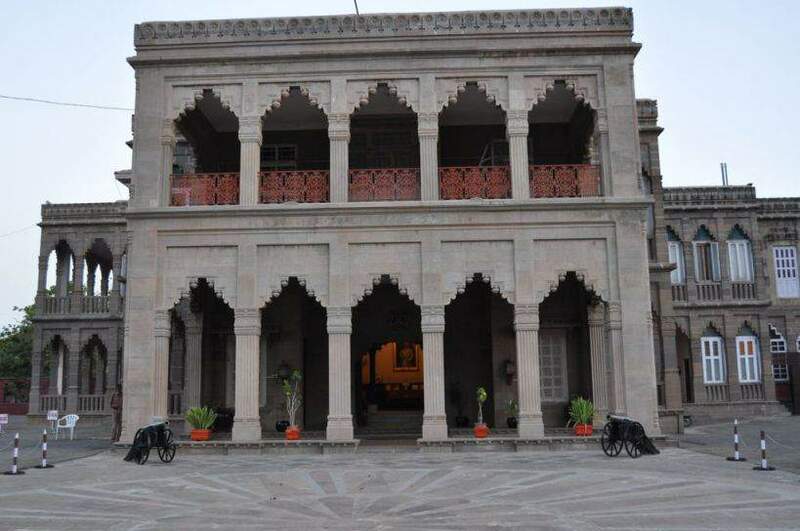 Among Bhavnagar's many attractions is Samaldas College, just over a hundred years old, a frontline institution that claims Mahatma Gandhi as one of its students. Do visit the Barton Library, again a place which age has not withered. Near Gaurishankar lake is a mini forest, a repository of flora and fauna, with more than 1 lakh trees which provides a serene ambience bringing one close to nature. One of the few city-forests in India, this natural haven provides shelter to varied species of flora and fauna. Within the forest premises there are two nurseries which cultivate plants for gardens and forests. 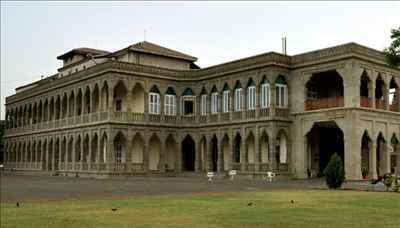 Nilambag, the royal palace now converted into a heritage hotel reflects the grandeur of the eighteenth century and is set amidst vivid lawns and gardens. The pillared porticos, stepped arches, pleasant center courtyard, turning marble staircase, dining hall furnished with European chandeliers and the historic library takes one back to the era of royalty and splendor. Sardarsmruti is a memorial of Sardar Vallabhbhai Patel who made an enduring contribution to the freedom struggle and consolidation of the Nation. 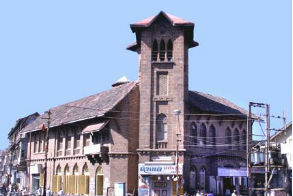 Just opposite Gandhi smruti is this imposing building that houses a modest photographic display of Sardar Patel's life and work. It also conducts some social welfare activities and programmes. 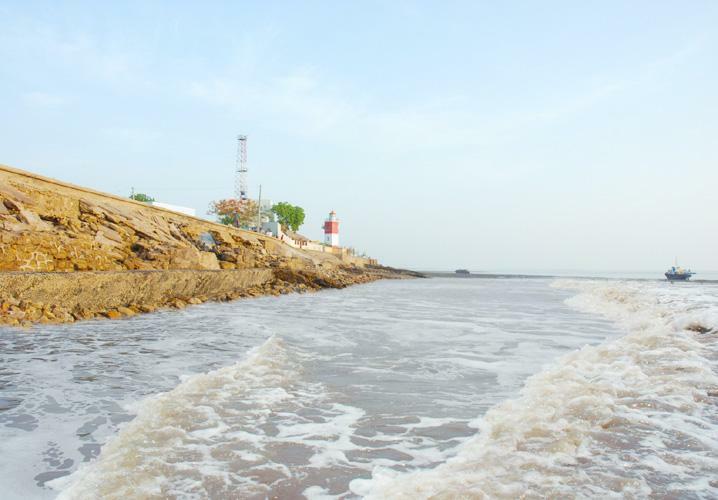 Gopnath is a secluded seaside spot, an entry point to the Gulf of Khambhat. It has a Shiva temple where the great Gujarati devotional poet Narasimh Mehta sought a deep unison with God about 500 years ago. Nestled in a beautiful rural setting, it affords a pleasant seashore stroll. 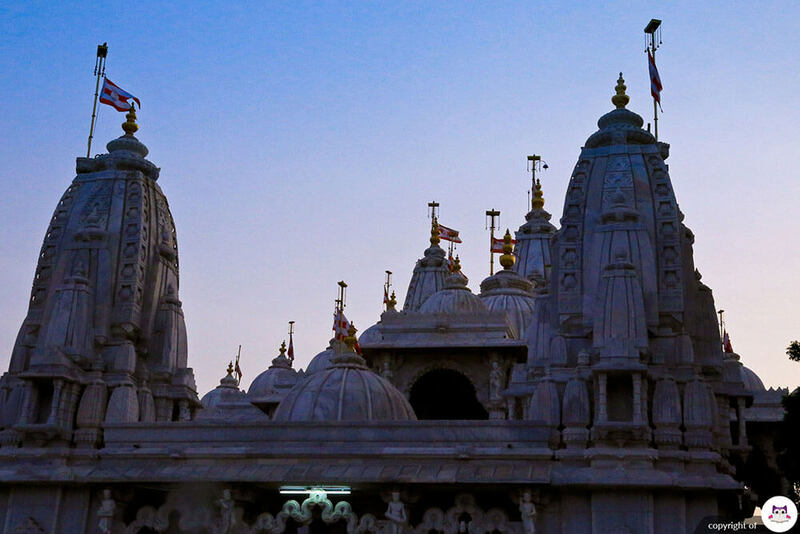 Palitana is renowned for the rich architecture of over 800 Jain temples on the nearby Shatrunjaya Hills. Most of these were built during the 14th-15th centuries. A moderately easy climb of 3700 steps takes one to the height of 1800 feet where the shrines are located. It has a spiritual exorbitance. 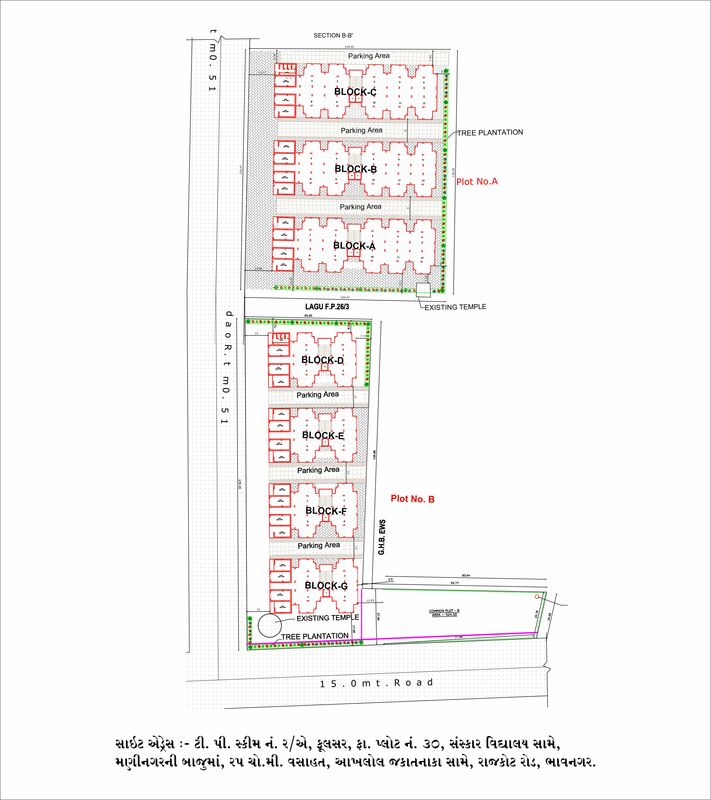 Khodiyar Temple Named after the renowned and respected Goddess rendering assistance to the Ex-Rulers of Bhavnagar. The temple has been drawing large number of people from near around villages and towns. The shrine was constructed in 1911. Devotees are found trekking long distance and pay homages and tribute to the deity on special occasion. It is also a tourist centre, having Khodiyar Lake nearby. 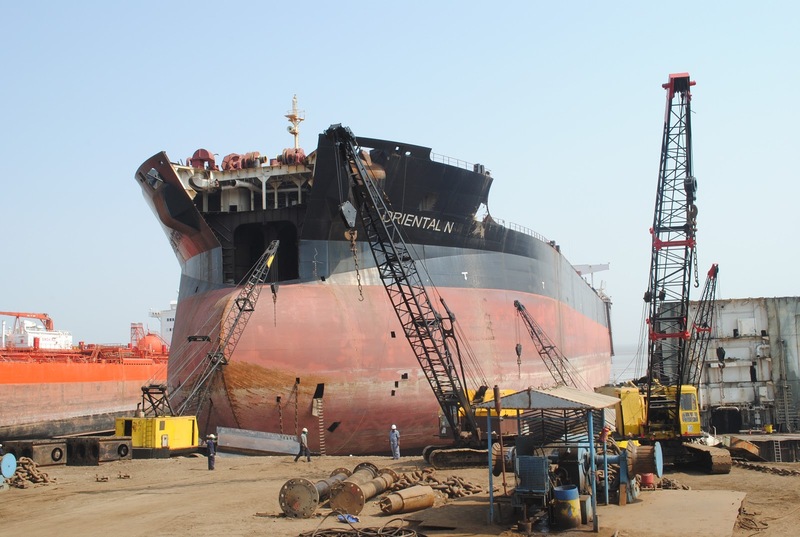 A modern wonder of Gujarat, the ship-breaking yard at Alang is a fantastic spectacle in itself. 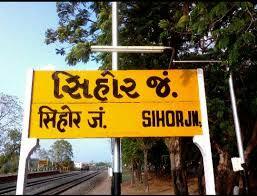 It is located on the coast between Bhavnagar and Talaja. Large ships from America, Europe, Asia are brought here to be scrapped. 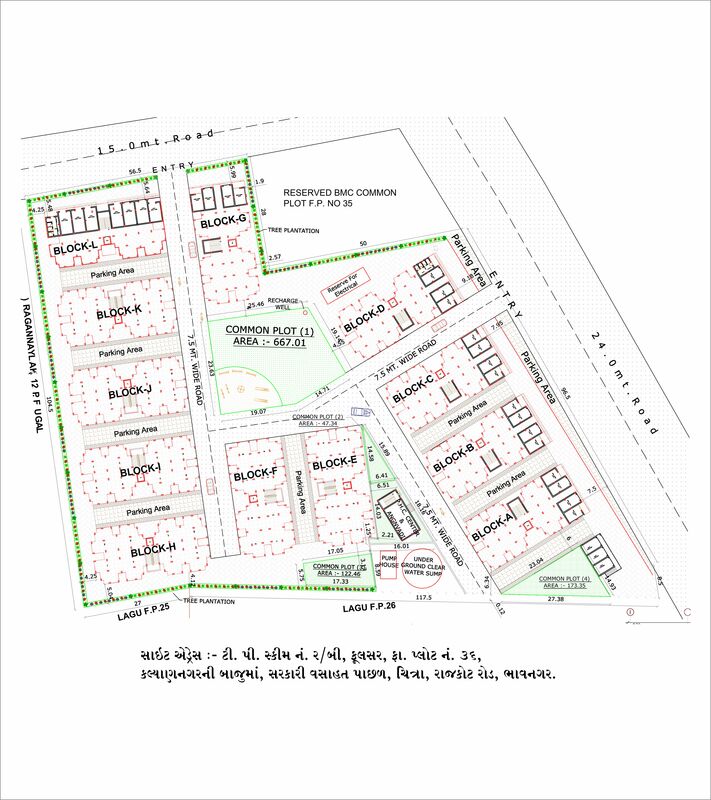 The reason behind the selection of this site was the nature of its tide, suitable for such maritime activities and the proximity of industrial zones that could utilize its metal and other scrap. It's India's largest ship-breaking site. Here supertankers, container ships, warships and other vessels are reduced to scrap by 20,000 workers toiling day and night. Blackbuck National Park at Velavadar is situated Near Vallabhipur in the Bhavnagar District of Gujarat state, India. 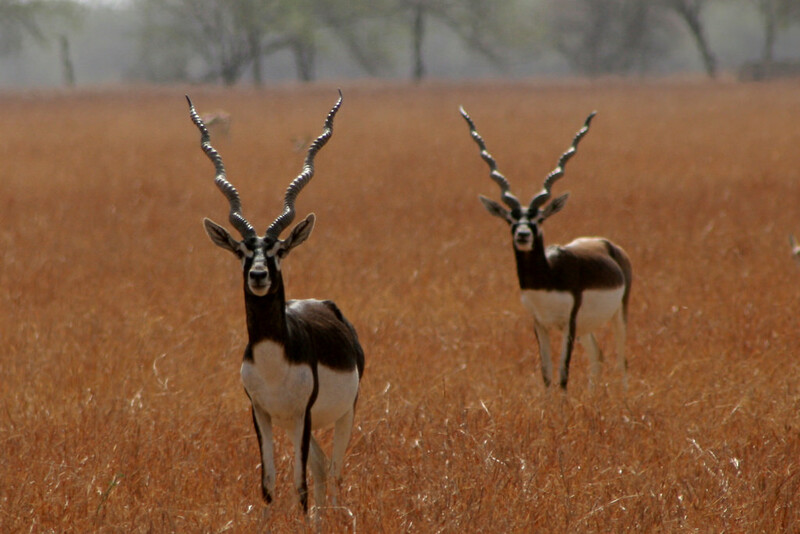 The Blackbuck National Park is located around 72 km from the district headquarter city of Bhavnagar in Bhal region. In 1976, Government on India has declared aprox. 34 Sq.Km. of grassland as National Park Blackbuck. The movements of blackbucks and nilgais (Blue bull) increase beauty of this park. The blackbuck is most famous for its jumping over the levels of grass. Since it is grassland, beauty of this park can be seen from long distant. Blackbuck is one of the fastest animals and can outrun most predators over long distances. Its chief predator was the now extinct Indian Cheetah. It is now sometimes preyed upon by wolves, feral dogs, etc. 22 km away from Bhavnagar in the quite locale is situated the town of Sihore which was the ancient capital of the Gohilwad Kingdom. The royal palace and its mural speak about the grandeur of the era in which it was built and the many temples built around the town speak of the spiritual inclining of its inhabitants. The Gautameshwar temple lake and the Shiva temple built on its bank is one of the most exquisite examples of this region. 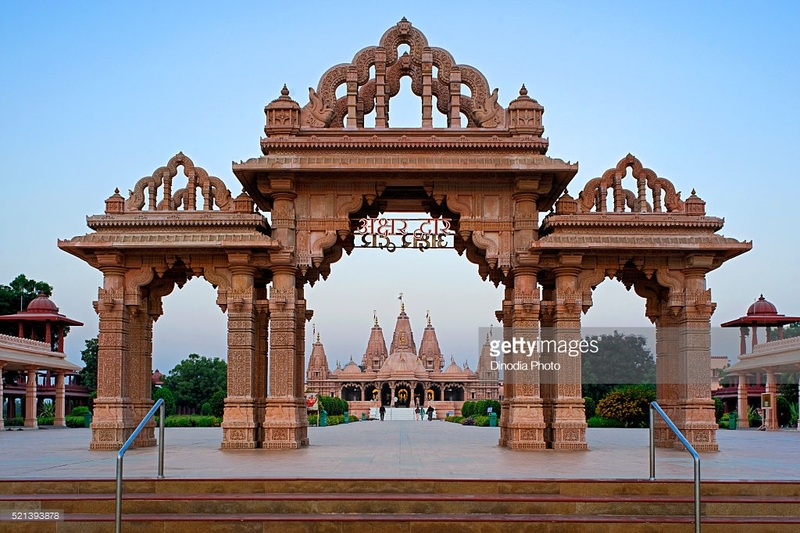 Famous for its Swaminarayan Temple, Gadhada is a premier town on the pilgrim circuit of Gujarat. The temple, built in 1829 A.D. is a fine piece of architecture with a high plinth, spacious square, an assembly hall and large sarais. 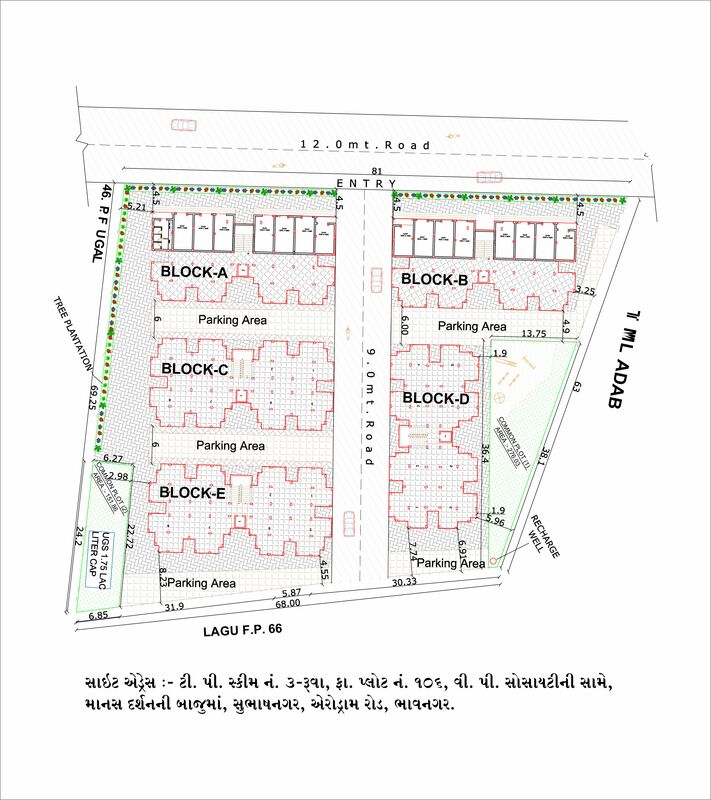 Ghogha is a historical town in Bhavnagar. This ancient town is a major religious destination. It is located on the Gulf of Cambay, and attracts thousands of tourist and pilgrims every year. At the Gulf of Cambay, a awesome beach is situated where you can feel calmness, peace etc. 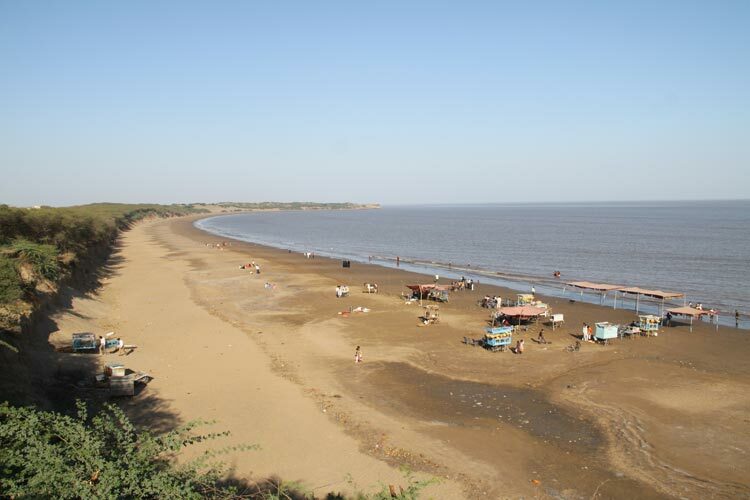 Ghogha beach is 19 km away from Bhavnagar. Located on the shore of the seaside on the Gulf of Khambat, this Shiva temple is where the devotional poet Narsinh Mehta supposedly had his spiritual experience almost 500 years ago. Set on the seashore, the temple is an ideal spot for all wanting a spiritual and natural trip. A minor part Mahuva is famous for its handicraft work in wood and ivory. Lacquer work on wooden furniture and toys is its speciality, its fertile land bears 'Jamadar' mangoes similar to the Alphonso. There is an old mosque, Laxmi-narayan Temple and a Jain Dehrasar. 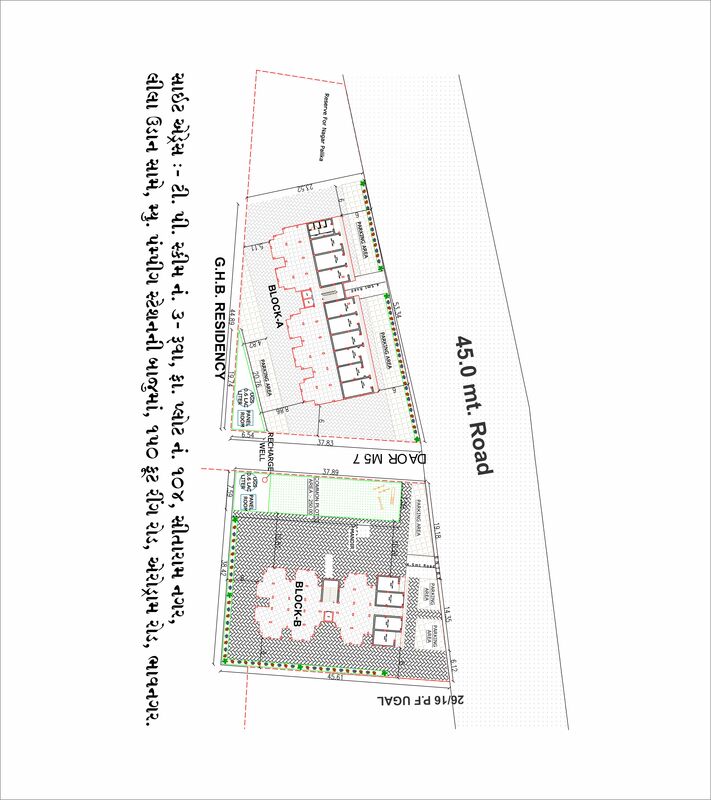 The Pipavav project nearby is fast coming up as a major port and coastal industrial centre. 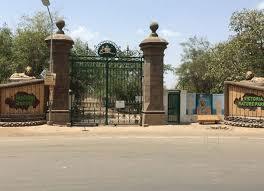 It is also addressed as Kashmir of Saurashtra, because of the scenery around. The coconut tree plantations add to the beauty of the town. Tourists also enjoy at the beach of the city. 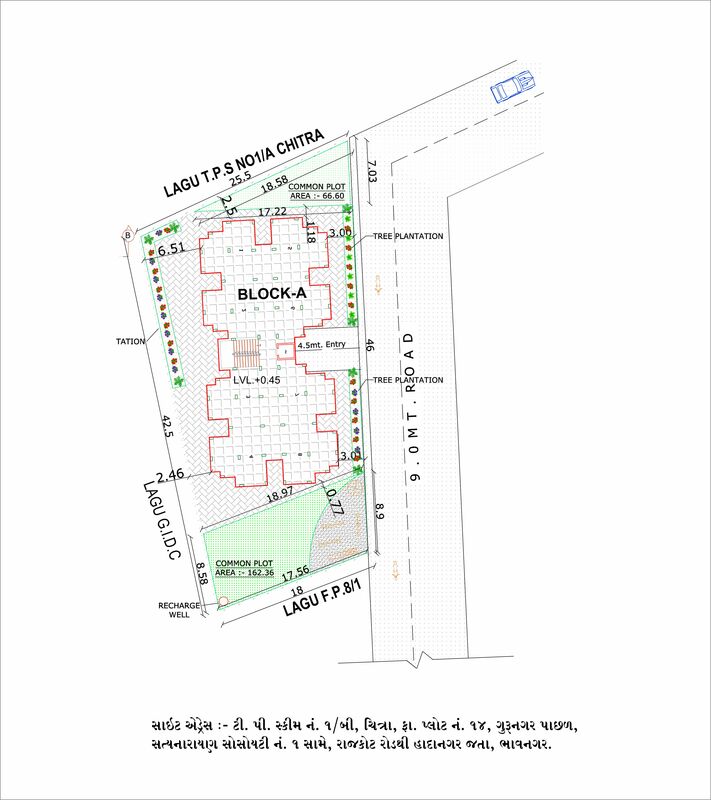 Near the beach is the ancient Bhavani Temple, which is an important attraction of the city of Bhavnagar. The town enjoys an extremely pleasant climate throughout the year. At seashore there is a beach which is mahuva beach. Mahuva Beach is like a pleasurable sea breeze and breathtakingly beautiful views to enthrall the tourists. 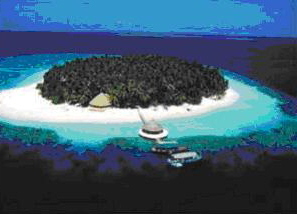 Piram Island is approachable by a machine boat-about an hour's sailing by ML Piram of the Lighthouse Deptt from Ghoga Port.The Lighthouse is about 1.5 km by walk from the landing point. The Researchers claim to have found .Jurassic age evidences. An interesting excursion from the Vijay Vilas Palace is Shihor, with its historic old palace of the Maharaja of Bhavnagar, featuring gardens, wall paintings and woodcarvings. It can also be used as a base to visit Alang Ship Breaking Yard, the Jain temples of Talaja, the historic town of Vabhipur and the Velavadar National Park. On the confluence of the rivers Shatrunai and Talaji on the hill top the town of Talaja is located. Carved out in the hills are Buddhist caves or monasteries which were built thousand of years ago. 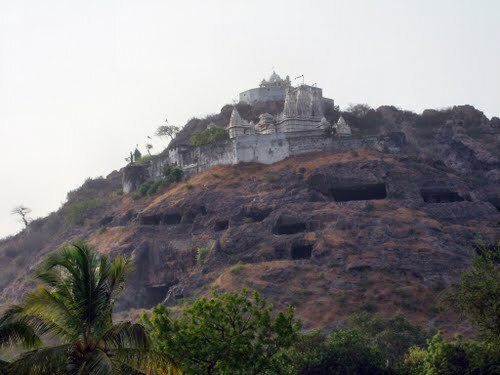 A pleasant climb up the hill brings one to magnificently built Jain temples. Located 160 ft above sea level, the place is famous for a small cluster of temples and ancient caves, believed to be Buddhist origin, carved into the hills. 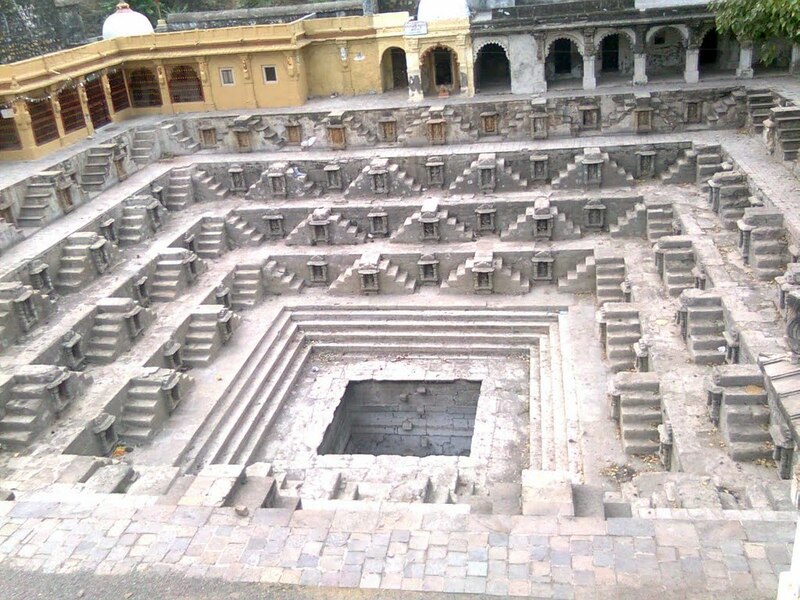 Talaja Teerth is a center of religious activity.